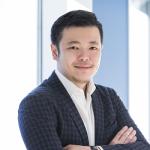 Junde Yu oversees all of App Annie’s business across the Asia Pacific region, responsible for developing and driving growth strategies for 7 offices and regional business strategies for App Annie’s products. He was most recently VP of Sales in the Asia-Pacific region, leading business and strategy for the rapidly growing region along with its tremendous surge of the mobile internet industry. He started his career in web startups while he was in university, and has since accumulated experience at web and mobile startups and corporations, in particular business development roles at companies like Scoreloop, SingTel, and Tapjoy. He graduated with a Computer Science degree from the National University of Singapore.